The first thing you must do is flip the perspective of your marketing messages. That’s right, it’s time to make it about your audience and quit hammering them with information about you and your company. No one cares. They only care about how you can help them. Next, focus on quality writing. Unfortunately, there are no shortcuts. You can build writing champions in your own organisation or you have to pay someone to write it for you. If you’re really serious about quality writing, you’ll start working with a copy editor to make sure your content is perfect. It’s essential to tell better stories. The human brain processes stories in a different way than facts and figures. Stories are embedded in our memories. Anyone who really wants to engage their audience will stop blasting company information and start putting things into story format. Check out Scott Pape’s blog to see a master storyteller at work. 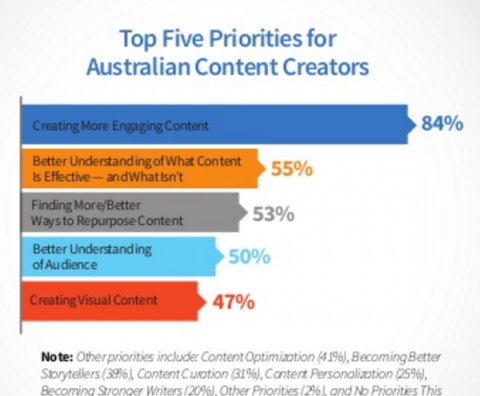 Or, you can view the slide deck from my presentation with James Lush at Content Marketing World in Sydney. Rely on experts to move your marketing from opinion to fact. An expert might be one of your happy customers participating in a case study. It could be an academic who has agreed to be interviewed to add credibility to your content. Industry experts are all over the place and often welcome the chance to participate in brand news. Check with associations and peak bodies to find expert advice. Media Stable is a great place to find experts if you’re working in Australia. Invest time to craft better headlines, titles and email subject lines. Titles are often an afterthought, written at the last minute with little or no consideration for effectiveness. The best content in the world won’t get read if the title is boring. Check out this short video to see how to write better headlines. Too often ‘engagement’ is viewed through the lens of social media. Metrics on the number of likes, shares and comments are misleading because people like and share content they’ve never read. Real engagement comes when your content provokes action relating to the purchase cycle. It might be word of mouth referral, a contact form filled out or a name added to one of your lists. Engaging content makes people commit to your company, even in a small way. 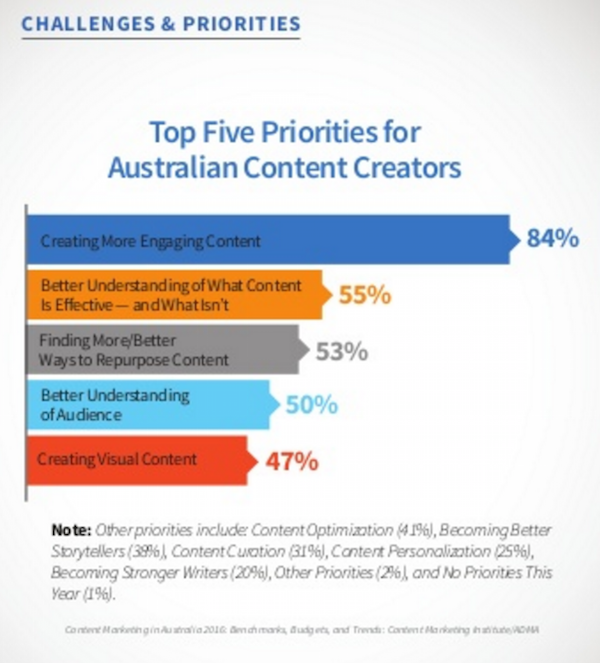 What have you done to make your content more engaging?